Mrs Maureen Onyango Ngesa is a practicing Counseling Psychologist with 8 years of counseling experience and currently pursuing her PHD studies in Clinical Psychology at Daystar University, Nairobi. She has a background in communications, media and scientific/technical writing and editing.She started her career as a newspaper writer deciphering law reports and environment reports for the public understanding. Later as a consulting editor for Intercontinental Publishers, Mrs Ngesa was focused on converting technical engineering research documents into journal articles and TV documentaries for public consumption. volunteer for organizations dealing with children going through trauma and other mental disorders. 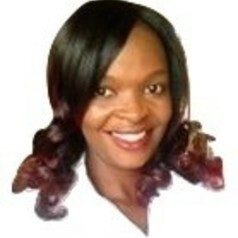 Mrs Ngesa holds a M.A in Counseling Psychology and a BA in Communications. Her greatest achievement would be to marry her background in Media and her passion for research in mental health to increase public knowledge and mental health literacy as a way to prevent and manage mental disorders in Kenya.